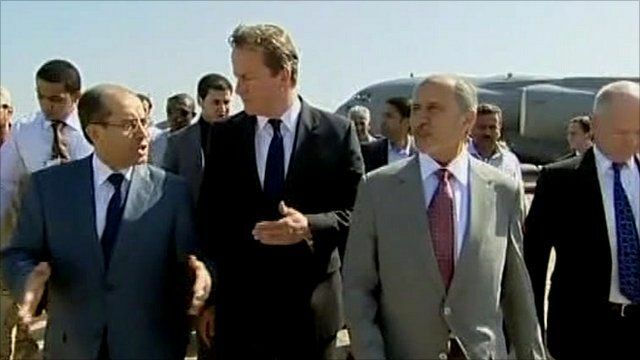 Prime Minister David Cameron and French President Nicolas Sarkozy have arrived in Libya for talks with the National Transitional Council. After meeting interim leader Mustafa Abdul Jalil and interim Prime Minister Mahmoud Jebril, they are expected to speak in the former rebel stronghold's Liberty Square. Peter Biles reports from Tripoli.